Home > High Bay Lights	> What are High Hat Lights? High hat lights are recessed downlights. That is, small direct lighting units positioned within a ceiling or cabinet so that their light shines vertically downward. High hat lights may also be called recessed can lights. They come in many sizes, 6” being the most popular.What is High Hat Lighting? High hat lighting, or recessed lighting, gives a sleek, contoured look to your living space. It provides a larger amount of light, can spotlight special pieces or features of your home, and tends to open up spaces so that they seem larger. It is efficient lighting conveniently placed out of the way. Whether you’re building new or fixing up old, recessed lighting can be a crucial component to the look and livability of your space. How Should High Hat Lights be Installed? Be sure to allow enough space between lighting fixtures. Typically, 4 inch fixtures should be approximately 4 feet apart; 6 inch fixtures about 6 feet apart. Lights closer together make the room seem cluttered. Avoid placing lights in rows down the center of a room. This gives an industrial look. Center fixtures 1 to 1 ½ feet in front of special features you are trying to highlight. Consider using several lights shining on an object from different angles. Be careful when installing recessed lights intended for reading; your head and shoulders might block the light if high hats are improperly positioned. Where Should High Hat Fixtures be Used? Put fixtures around the perimeter of a small room in order to make the space seem larger. 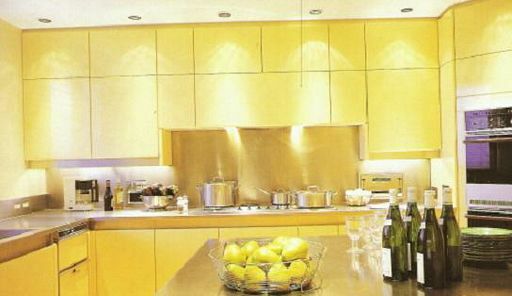 Think about using high hat lights in your kitchen. They work well when placed above the sink, along counter tops, and/or underneath your cabinets. Use recessed lighting in your renovated basement. This type of lighting is perfect for low ceilings and gives sufficient lighting without casting shadows and creating unpleasant dark corners. High Bay Lighting with HO T5 Lamps What is the Wattage of a 4 Foot 6 Lamp T8 Fixture?